News outlets, experts, and health care advocates blasted President Donald Trump’s federal budget proposal that would rip health care away from millions while eliminating key HIV prevention and research programs. If enacted, these cuts would have a disproportionately devastating impact on members of the LGBTQ community, who rely more heavily on Medicaid than the general public does and face higher rates of HIV infection. Outcries continue to grow in response to Trump’s federal budget proposal for the 2018 fiscal year. The proposal faced immediate criticism for its unrealistic revenue projections and was branded by critics as a “repugnant grab bag” of cuts to vital anti-poverty and public health programs to pay for part of a massive tax cut for top earners. The latest criticism of Trump’s budget comes from public health experts and LGBTQ media, which are pointing out that its cuts to Medicaid, coupled with harsh reductions in funding of HIV treatment, prevention, and research add up to a reprehensible swipe at the LGBTQ community. Medicaid is "hugely important" for the LGBTQ community," (sic) Gruberg told NBC Out, noting that 18 percent of lesbian, gay, bisexual and transgender people have Medicaid compared to 8 percent of non-LGBTQ people. 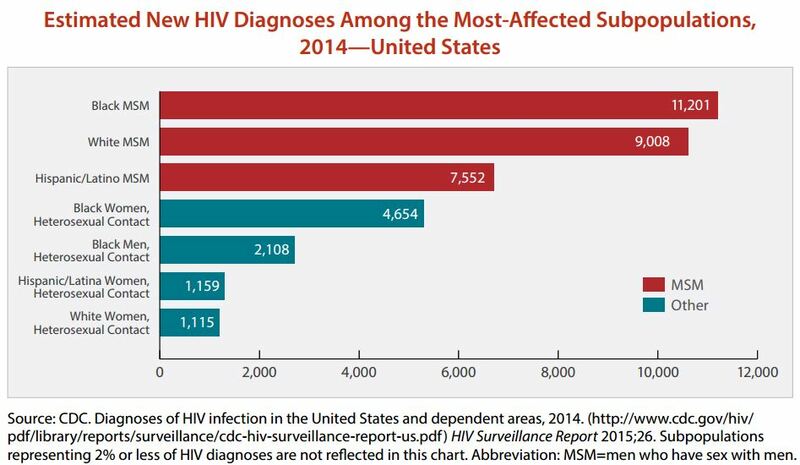 Gruberg also noted that Medicaid is the "largest source of coverage for people with HIV in the U.S.," adding that "a $1.4 trillion cut to Medicaid over 10 years will be detrimental to the ability of people living with HIV to get the health care they need to survive." HIV funding is of great concern for the LGBTQ community and faces steep cuts in the White House’s budget. The Health Resources and Services Administration (HRSA) outlined that the fiscal year 2018 budget would include a $59 million reduction to the Ryan White HIV/AIDS program, including eliminating all its funding for LGBTQ and minority education and HIV prevention. The Ryan White HIV/AIDS program funds health care services for individuals living with HIV as well as public service education programs about the virus. The program is named after an HIV activist who fought for the program’s enactment before tragically passing away just months before it was authorized after battling the virus. On May 31, the Washington Blade highlighted the funding cuts to the Ryan White HIV/AIDS program and an additional $186 million in proposed cuts to the Center for Disease Control and Prevention’s (CDC) work on HIV and other sexually transmitted infections (STIs). Doug Wirth, CEO of the nonprofit Amida Care, called Trump’s budget proposal a “cruel and callous attack” on those living with HIV. Advocacy groups argued that the funding cuts would lead to “more suffering” for those living with HIV, and the AIDS Institute criticized the White House’s “severe cuts” while noting that the 19 percent cut to the CDC’s HIV prevention program would set back efforts to eliminate the virus. Trump’s cuts to HIV programs are eerily reminiscent of cuts Vice President Mike Pence imposed on Indiana during his tenure as governor. Pence followed through on right-wing media’s obsession with defunding Planned Parenthood and cut funding to the health care provider ostensibly to reduce abortions, but in doing so actually shut down access to the only HIV testing centers available to many Indiana residents and may have inadvertently caused an HIV epidemic in rural parts of the state. Pence has a long history of supporting right-wing media causes against the LGBTQ community and during the 2016 presidential campaign was called outby MSNBC host Rachel Maddow for statements he made while serving in Congress. 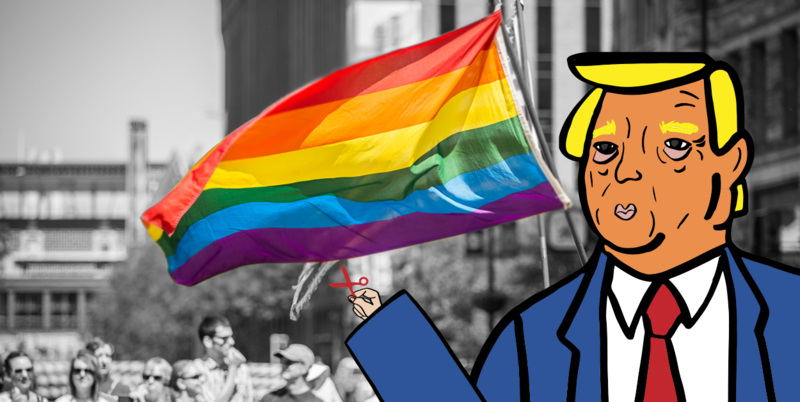 Trump campaigned as an alleged ally of the LGBTQ community, but community leaders recently slammed his “shameful” refusal to sign a proclamation declaring June LGBTQ Pride month, ending an eight-year tradition. The Trump administration also faced pushback after it announced it would not allow Americans to self-identify as LGBTQ in the 2020 national census.